“We live quality“, “, which will be displayed in large letters on the hülsta exhibition stand at the imm cologne, is not a casual marketing statement, but in fact a decade-long commitment to values that have shaped the furniture brand hülsta for generations. We have talked to Birte Farin to find out what makes the German manufacturer so special when it comes to the production of furniture. The 41-year old is Head of Global Marketing at hülsta; as a graduated interior designer, she knows exactly what it takes to create a valuable interior design. EDITOR: Let’s say I am a consumer visiting the hülsta exhibition stand at the imm cologne. How exactly do I recognise the culture of quality? Different aspects reflect quality. Firstly, there is the workmanship of the furniture. A quick look and feel will make you appreciate the perfect craftsmanship and the love of detail. We build furniture that will inspire all of the senses for years to come. Just look at the elegant joints, meticulously sanded or dovetailed edges or the clean, continuous veneer patterns to realise that hülsta turns honest materials into timeless and straight-lined interiors. Quality that you can feel for decades. We live quality – does that mainly stand for the high-quality design and craftsmanship of the furniture? Not just that. Our understanding of quality also extends to the inner values of our furniture, which is also very important to us! We exclusively use high-quality woods, textiles and lacquers and respect sustainability. 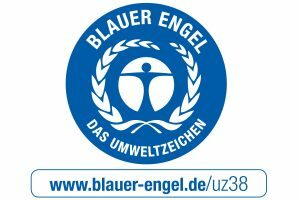 Our modular units have been awarded the environmental sign “Blue Angel“, i.e. the wood we use comes from sustainable sources. We treat this natural material with environmentally-friendly lacquers or high-quality oils. Everything that our highly experienced teams produce is particularly low in emissions, protecting mankind and the environment. Yes, and I very much welcome that. However, we have not only just started to consider this topic, but hülsta has dealt with it for decades and it is an integral part of the company philosophy. Lifestyle and home design must not be pursued at the expense of the environment. We therefore live up to our responsibility in this area. hülsta has always been committed to sustainability and has set standards within the industry as a green pioneer. We were the first furniture manufacturer to be awarded the environmental sign “Blue Angel“ for its entire modular unit collection and our production processes are climate neutral. However, we still don’t think that this is enough! We have a great team that pursues these important issues with great commitment. ”We live quality“ is therefore a promise that hülsta furniture is future-proof. We tend to re-invent ourselves more and more, we re-arrange things at home and want to be as individual as possible when it comes to designing our home. Is hülsta also the right choice for people that love to change things and how does that fit in with the sustainability concept? For us, quality also means taking every customer requirement into consideration, if possible. Individual solutions and bespoke productions are therefore standard for us. Many of our collections are designed in such a way that they can be tailor-made to suit individual requirements. At the same time, we create more and more units that are so flexible and practical that a few changes will create a completely different impression. Sustainability combined with flexibility and versatility do definitely not exclude one other with high-quality furniture. Looking at the past, with hülsta being a renowned company in the industry for quite some time, does that also contribute to quality? Yes, certainly. We build on years of expertise in the production of high-quality furnishings. This instantly makes me think of the T 70. Even at a length of three metres, the dining table does not require a visible reinforcing component. A cleverly integrated metal core gives the dining table an almost floating appearance. Impressive – and it actually has been given the Red Dot Design award. This proves that in addition to workmanship expertise, we have always shown innovative strength. hülsta holds more than 220 patents. You must invest in quality. This not only applies to consumers – the manufacturer also requires time, resources and expertise. Will that philosophy also pay off in the future?